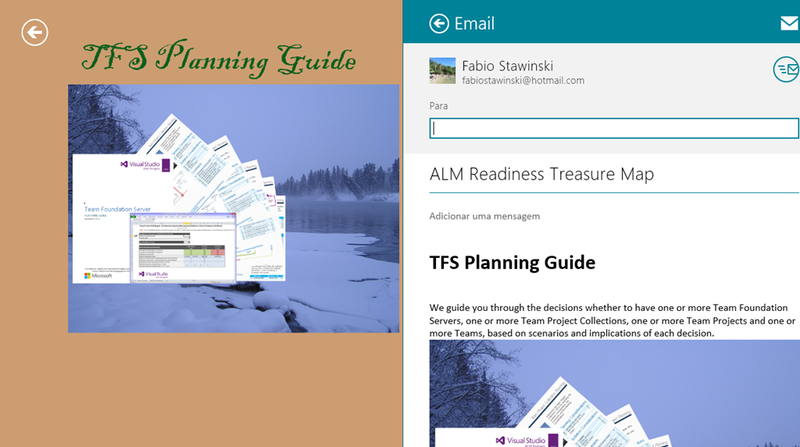 Hello everyone, as VS ALM Ranger I’m member of the ALM Treasure Map project, and I’ll show you the new sharing feature we have implemented. Now we can share Text and Html content, for example, Text is used by Twitter app and Html is used by Email app. If other app uses some of those way of sharing, it will work as well. Html content being set, for email sharing – htmlExample is a simple html string. 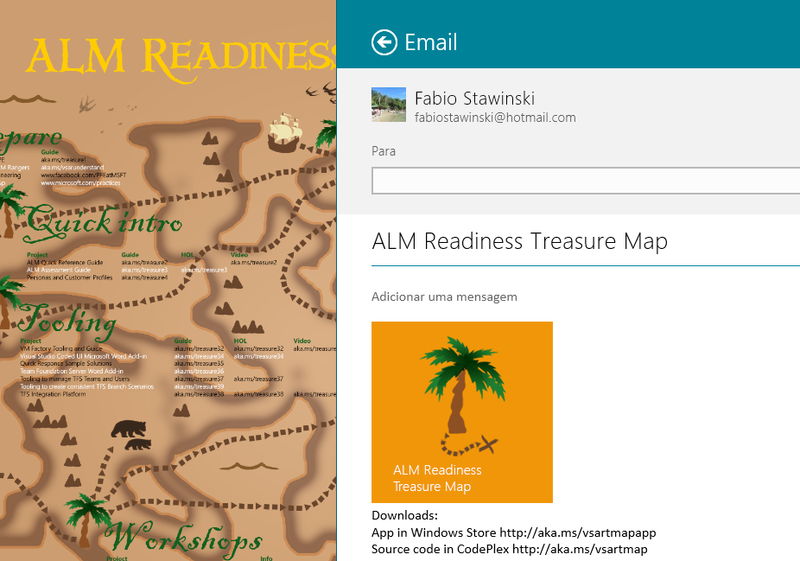 Also it was added sharing feature to share from the main tresure map screen and categories screen info about the app.